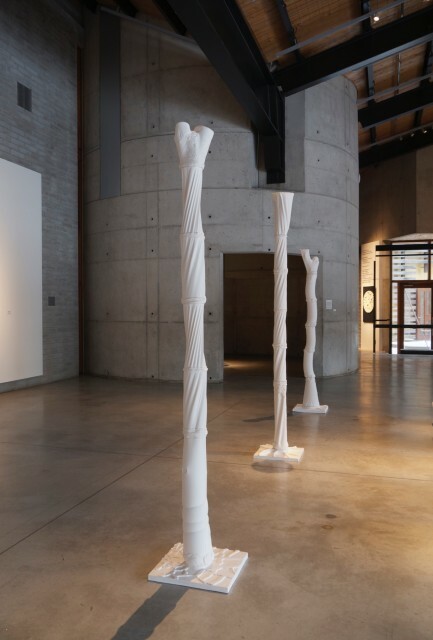 My new body of work, Arbor Vitae, remains installed at the Canadian Clay and Glass Gallery in Waterloo, Ontario until March 15, 2015. Here are a few installation shots of the work as exhibited at CCGG. (Photography by Michael Zajac). 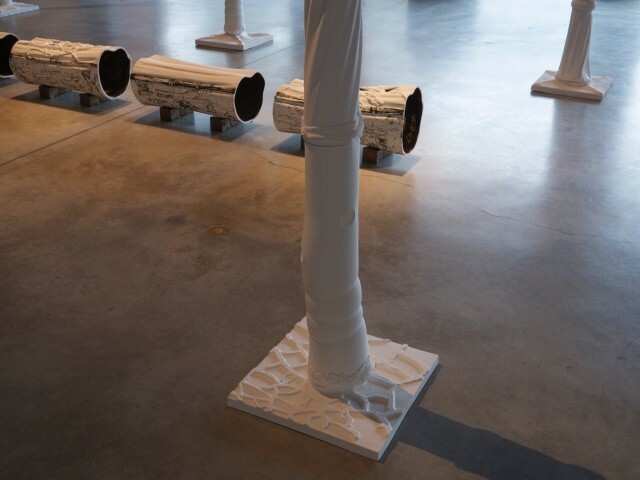 Arbor Vitae is a body of work resulting from an intensive two years of research including artist’s residencies in Jingdezhen, China, exploring fabric formwork at the Centre for Architectural Structures and Technology at the University of Manitoba, and experimenting with fabrication technologies at AssentWorks, a rapid prototype and makers’ space in downtown Winnipeg. 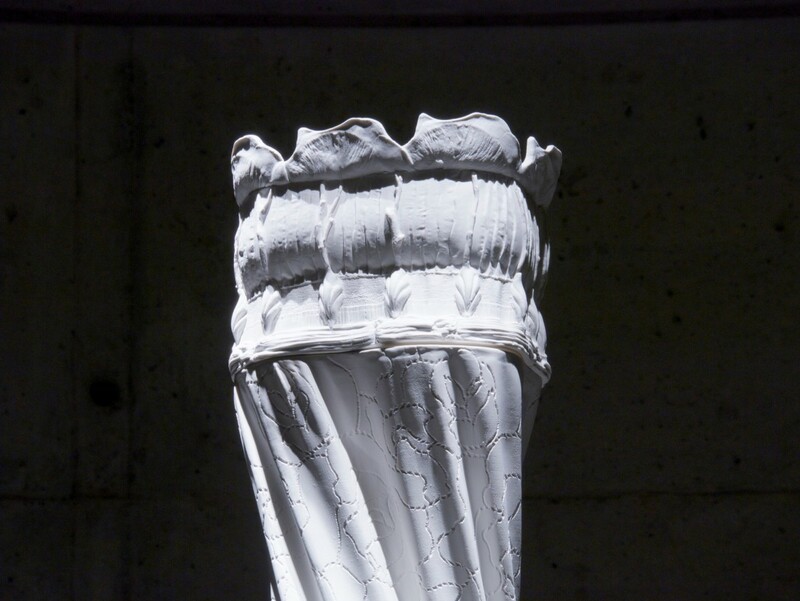 This new work advances my investigations of natural forms pitted against artificial construction and surfaces separated from and reintegrated with forms. The large-scale porcelain sculptures and installations in Arbor Vitae negotiate the relationships between the natural and the fabricated, the austere and the embellished, and growth and decay. 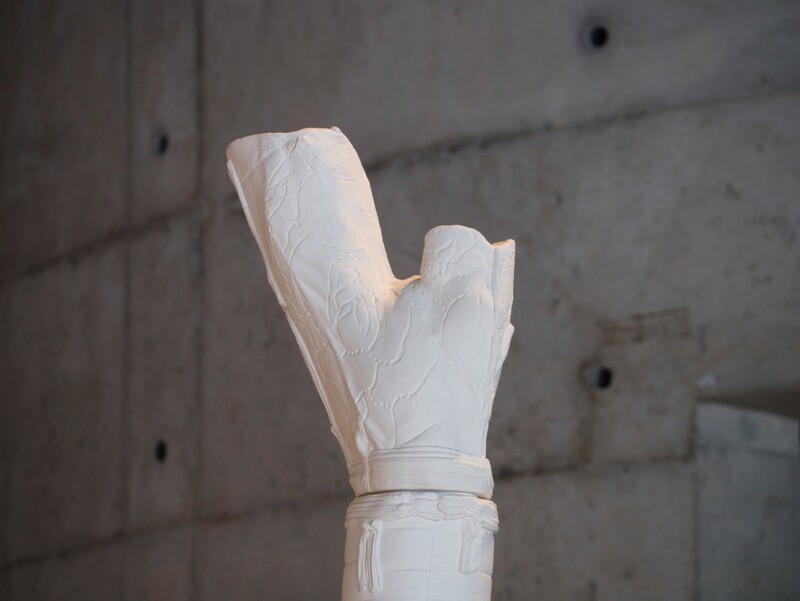 Along with more traditional processes such as slip casting, press moulding, and handbuilding, new and experimental technologies, including fabric-formed mould-making, vacuum forming, and laser marking are integral to creating the three major components making up my exhibition. 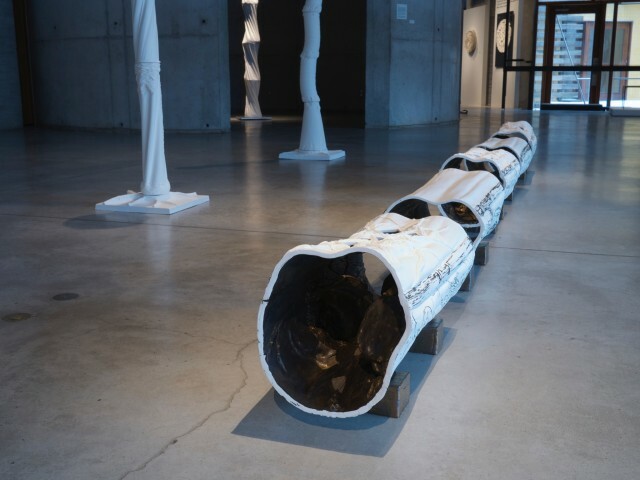 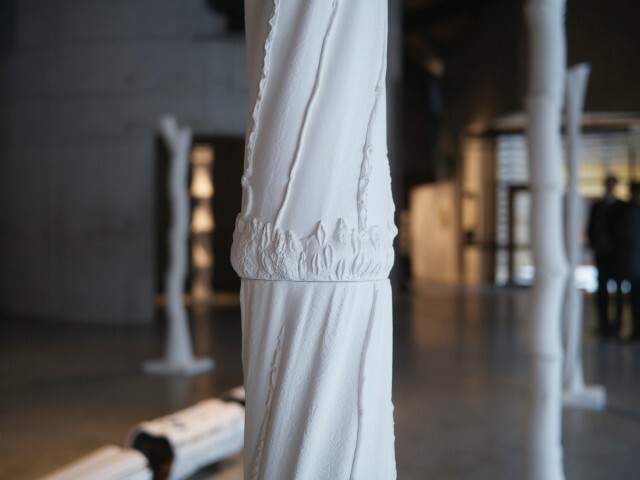 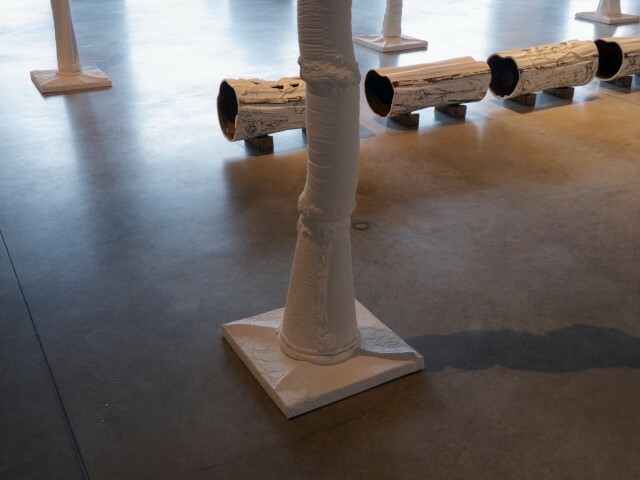 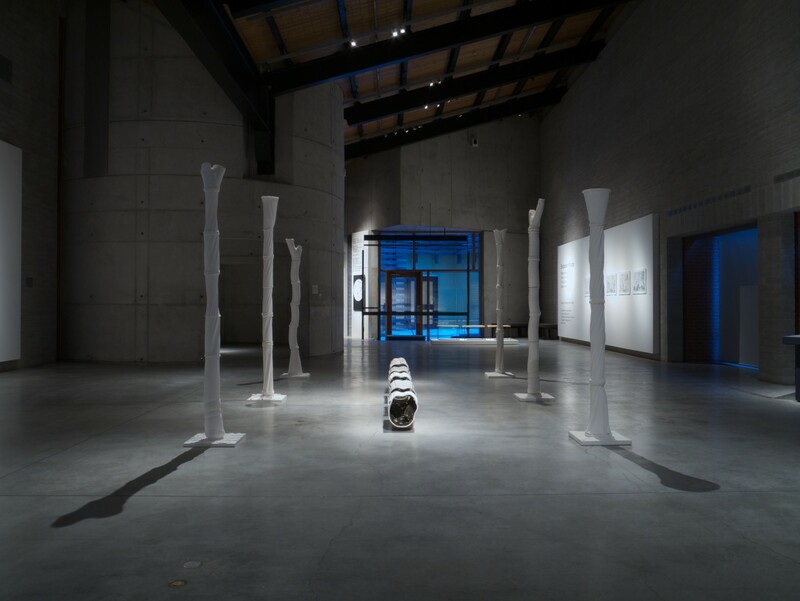 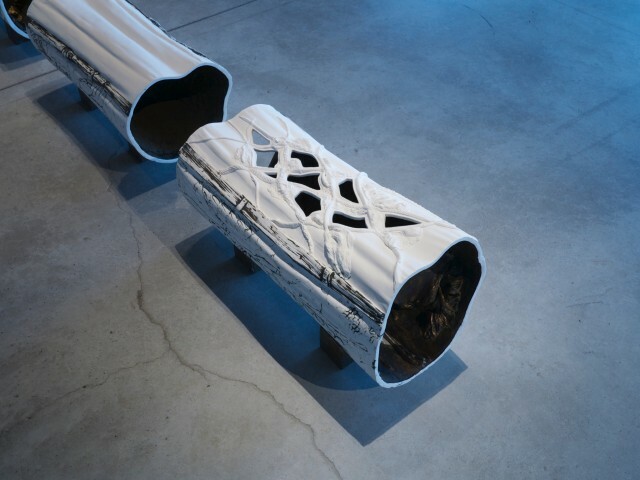 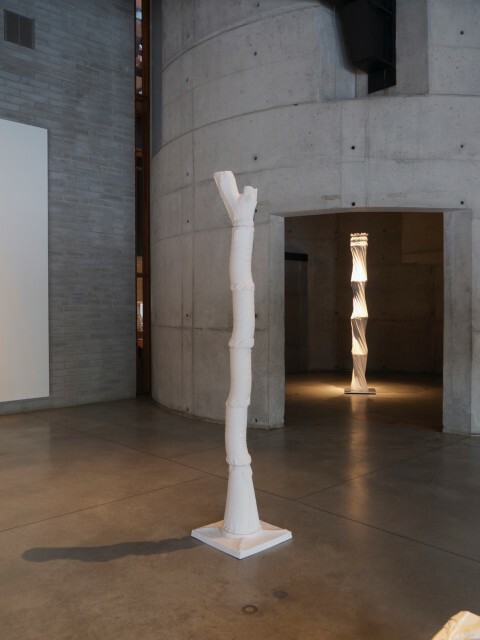 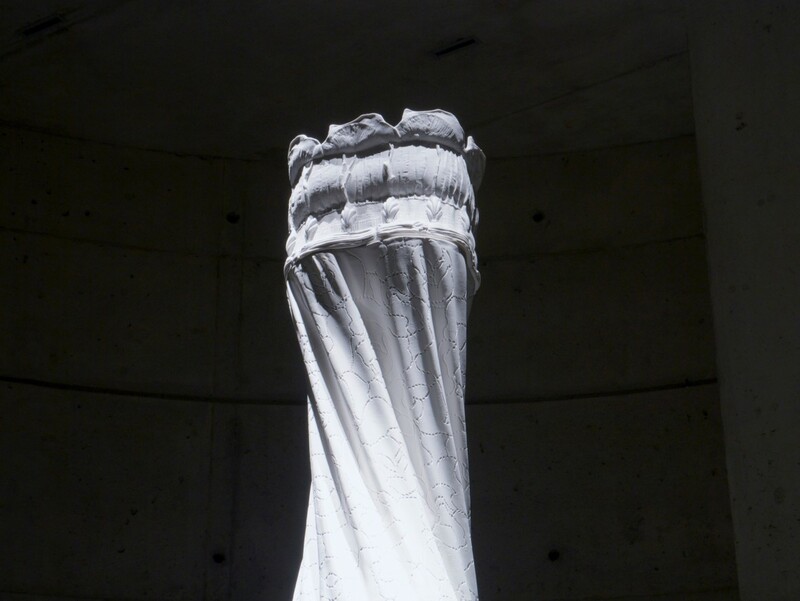 The forms in the installation titled Arbor Vitae, and the twisted column form called Host, began as fabric models stretched on wooden frames and then plaster moulds made. Vacuum forming was also investigated as a means to create prototypes for mould-making. A tile installation called Espalier consists of a series of porcelain tiles printed with imagery created using the laser marking process. 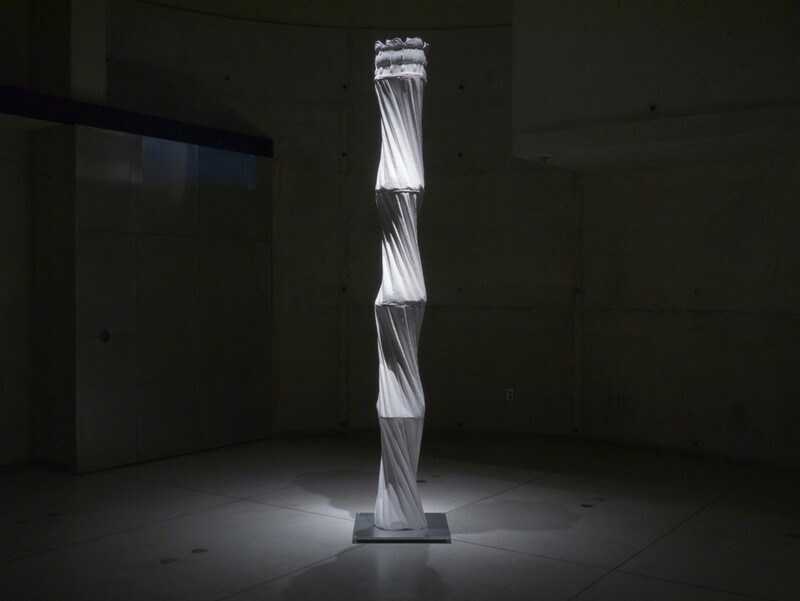 The images resulted from non-orthogonal photography capturing the details of ceramic columns in the round. 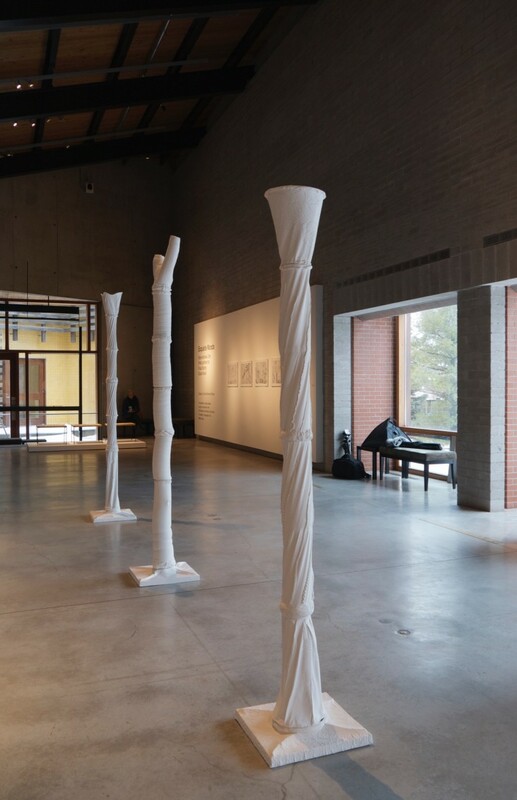 With gratitude to the Canada Council for the Arts, the City of Winnipeg through the Winnipeg Arts Council, and the University of Manitoba for supporting my research and helping to make this new body of work possible. 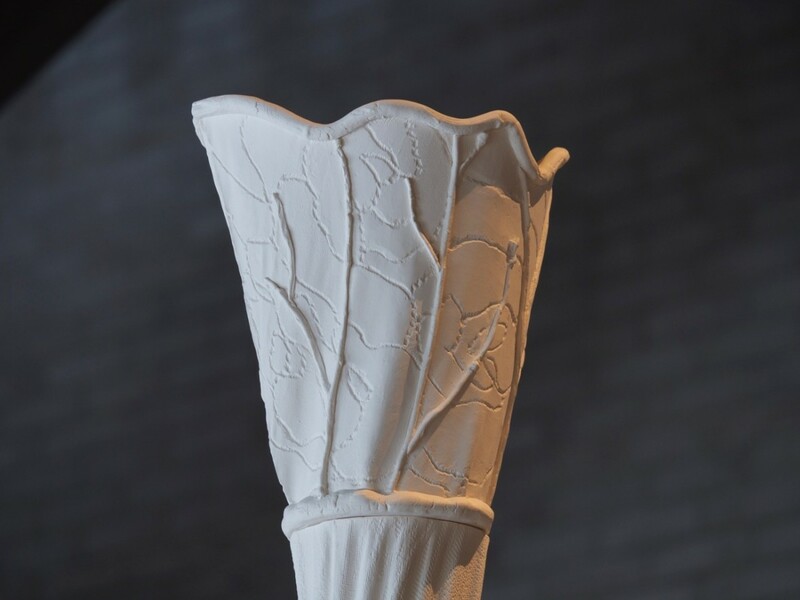 Host from Arbor Vitae, 2015, Jingdezhen porcelain, metal base, 270 × 50 × 50 cm, Canadian Clay and Glass Gallery. Photography by Michael Zajac.